Open Cart is a fast and user friendly open source e commerce platform with a vast set of extensions that are well capable of taking care of all your e commerce needs. Witoni, Best OpenCart e-Commerce Web Development Company in INDIA. We provide OpenCart Web Development Customization Services to B2C as well as B2B. We have already 150+ Happy Clients from 10+ Countries. Open Cart is an open source PHP based online shopping cart system, Open Cart is most flexible and user-friendly open source shopping cart and store management systems. 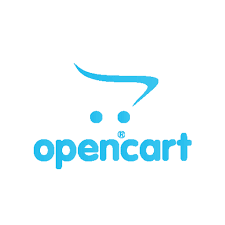 OpenCart is free open source ecommerce platform for online merchants. ... This foundation appeals to a wide variety of users; ranging from seasoned web developers looking for a user-friendly interface to use, to shop owners just launching their business online for the first time. OpenCart is a powerful, open source shopping cart system that is designed feature rich and user friendly. OpenCart is powerful open source shopping cart system that is easy to use, designed featured rich, search engine and user friendly. OpenCart is a turn-key ready "out of the box" shopping cart solution. We simply install, select template, and add products and are ready to start accepting orders. Open Cart is an open source PHP based online shopping cart system, Open Cart most flexible and user-friendly open source shopping cart and store management systems. Open Cart is a turn-key ready "out of the box" shopping cart solution. You simply install, select your template, add products and your ready to start accepting orders. Opencart Development is a current era e-commerce solution deliberated and devised for the business requirements of internet merchants. This allows online sales persons to generate an online store easily for selling their goods and services via the internet. This service is search engine friendly and can be easily optimized for other search engines and can be managed easily. This eCommerce branch has several features that can help you to reduce your work for your online business website. It is mainly introduced for E-commerce website and offers versatility of order management as well as several payment gateways that save both money and time. OpenCart development is mainly used for the E-commerce website development which is an open-source content management system. Online marketing is a thing which will give new steps in business development. With the help of Open Cart we can make our website more functional, popular and effective one also.